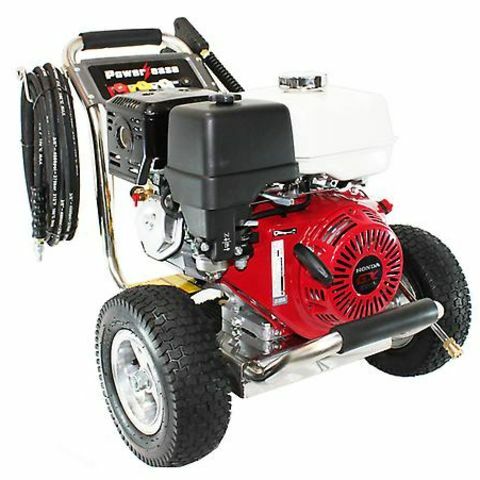 So says the product description for this pressure washer. But I wanted to see it for myself, first hand. So yesterday, I used it and I have to say, it’s great. Then I turned it on the porch and revealed a truly messed up repair job, a quarter inch of paint and an eighth of an inch of general funk. I was hot and tired when I was finished. Holding the spray wand makes one’s hand tingle a bit. When I went out after everything dried -- I couldn’t believe the difference. Now, at night my walkways positively glow. Gone are all the leaves and matted spider webs that I couldn’t just rinse away with the hose . 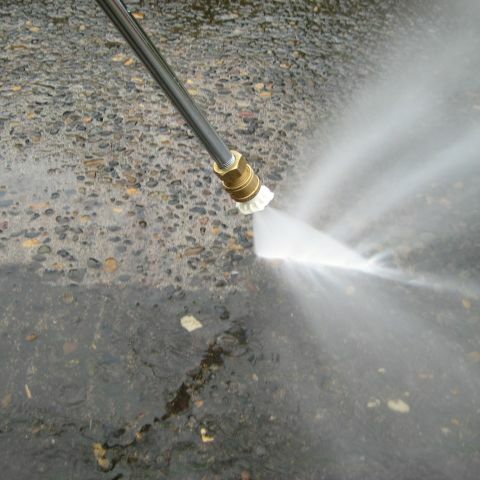 OpenRental also has accessories for this tool: a flat surface cleaner, an extension wand, and an extra 50′ of hose.